Ever wanted to shoot your own footage for Google’s Street View? That time has finally come, as Insta360’s Pro camera has been officially certified as the first ever “Street View Auto ready” camera by Google, reads a recent report from TechCrunch. Devices recognised in the ‘Street View Ready’ program are perfectly suited for contributing 360-degree content to Google Street View, allowing users to put their own stamp on the global patchwork of immersive street-level views that are accessible via Google Maps, Google Earth and the Street View App. The Insta360 Pro is a 360-degree camera that’s made to shoot ultra-high resolution footage for virtual reality use. It can not only shoot VR-friendly video, it can do it in up to 8K resolution at a smooth 60 frames per second. This kind of raw video power doesn’t come cheap, as buying an Insta360 Pro unit directly from the manufacturer will run you $3,499 USD, making Google’s Street View Loan program look quite appealing to anybody who’s not too serious about producing VR-friendly and panoramic content; Google is lending out some cameras to qualified photographers, travelers, tourism boards, non-profits and a variety of other organizations. Google has four main classifications for third-party Street View cameras: auto, mobile, VR, and workflow. 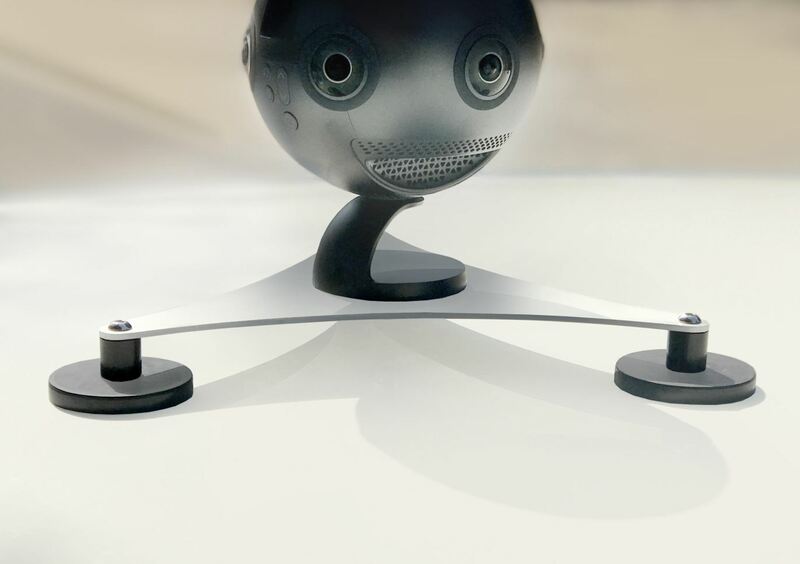 Insta360 Pro was rated for auto, meaning that it can be attached on top of a moving vehicle to take 360 pictures of its surroundings — these photos will then be added to Street View after being processed via a combination of the Street View app and Insta360’s proprietary photo stitcher. With most roads in developed countries already covered, you might have to get a little adventurous to shoot somewhere Google hasn’t already been to. This could include private land Google can’t gain access to, or somewhere too remote for the company to reach. The camera could, like Google’s own 360-degree cameras, be fitted to a backpack to cover areas inaccessible by car.